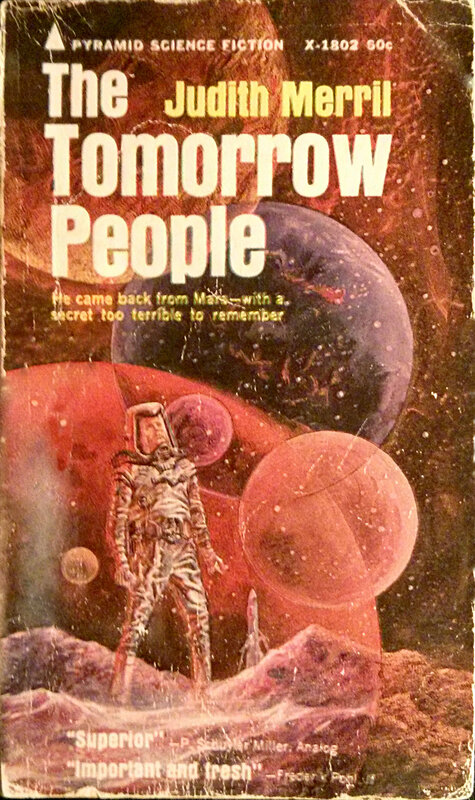 The Tomorrow People by Judith Merril is another obscure science fiction book that I picked up at an estate sale. 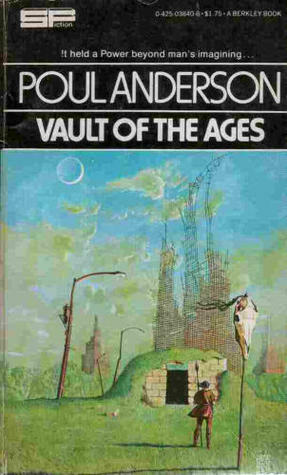 The book was first published in 1960. 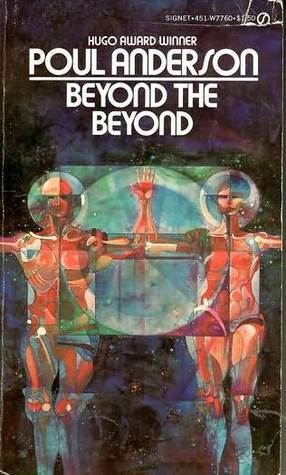 I read the third edition published by Pyramid Books in 1968 with a Gray Morrow cover painting of a silver-suited astronaut standing on a planet’s surface with a rocket ship and an unlikely assortment of large moons in the background. 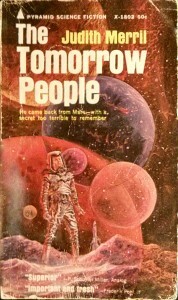 The front cover blurb reads “He came back from Mars – with a secret too terrible to remember” while the back cover offers this summary in super-sized type: “There was something on Mars that killed people”. The front cover also offers two endorsements. One from Analog’s long-time book review columnist, P. Schuyler Miller; a single quoted word, “Superior”. 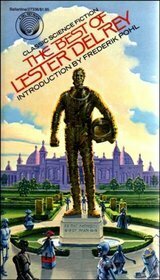 The other endorsement is from well-known science fiction author (and Merril’s ex-husband) Frederik Pohl, who is quoted as saying the novel is “important and fresh”. 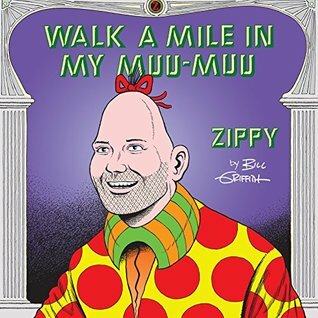 If they reprint the book again, they can add my one word review: “Meh…” – Steve Rainwater. Damon Knight’s 1967 review sums it up well when he says, “parts of this book are relatively painless to read”. He also notes that the story contains an “unaccountable sprinkling of 1960 jive talk” and seems to be written from what he describes as the 1960s “woman’s-magazine viewpoint”. It’s not a terrible book and it actually became slightly interesting towards the end. The story purports to be about the mystery of astronaut Johnny Wendt, the only surviving human from the first expedition to Mars, a man who has lost his memory and doesn’t know why he survived. The story is actually about Lisa Trovi, the woman who has made it her job to take care of Johnny, and their endless relationship problems. Johnny gets drunk, Johnny acts like a jerk, Johnny won’t cooperate with the scientists and politicians who need help putting together a second expedition to Mars, Johnny wanders off and feels sorry for himself, Johnny gets into fights, Johnny becomes unnecessarily jealous of Lisa. Lisa has to pick up the pieces every time Johnny screws something up. About 75% of the novel is Johnny and Lisa sorting out their problems and is fairly boring stuff. The remaining 25% of the novel deals with scientist Phil Kutler who, with Lisa’s assistance, has to find out what happened on Mars. This leads to an eventual trip for the two of them to a lunar base where they study a vat of growing gray goo that came back from Mars with Johnny. The scientists keep pumping in their best guess at nutrients and the gray goo keeps bubbling and growing. Lisa is immediately fascinated by the goo and soon begins spending all her time sitting and staring at it. You get the idea, the Martian goo had tried to communicate with the first astronauts without understanding they were discrete beings and things went all wrong. It was just a big misunderstanding and everyone wants to be friends now. If all the annoying Johnny/Lisa soap-opera sections could be excised, I think this would make a pretty good short story. 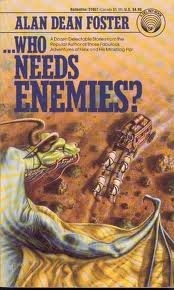 If you like old science fiction and happen across the book, you might enjoy it. But I wouldn’t recommend going out of your way to find it. 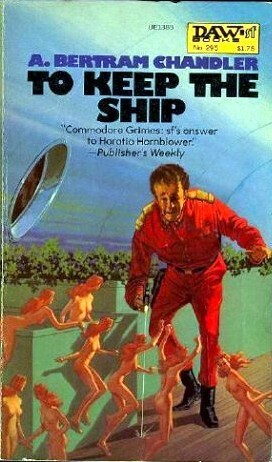 Judith Merril is probably better known by modern science fiction fans by her pseudonym Cyril Judd, used for short stories co-authored with C. M. Kornbluth. She’s also known for introducing Canadian broadcasts of Doctor Who from 1978 to 1981. Her short (five minutes or so) introductions usually included an interesting contemplation of the theme of the episode about to be shown. She also gained brief notariety outside the science fiction world when, in the 1970s, she dressed up as a witch, travelled to Ottawa and cast a hex on the Canadian Parliment for allowing tests of American cruise missiles over Canada.